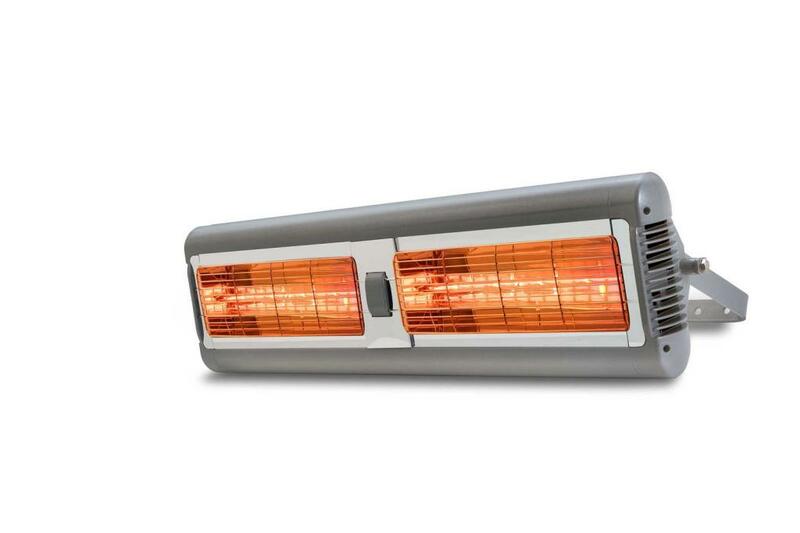 The Innovative Solaira™ ALPHA Series All-weather Outdoor Quartz Heater is highly efficient and economical. It is environmentally friendly, odorless, safe, and virtually maintenance free. This unique heater only heats people and objects within the heat zone, not the air in between. 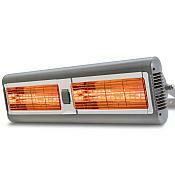 The ALPHA Series electric infrared heaters represent the evolution of engineered short wave heating technology. Alpha Series Heaters produce short wave length infrared that convert 92% of consumed energy to instant, controllable, directional heat. This heating technology is not affected by wind or draft as it warms people and objects, not the air. The modular design of the Solaira Alpha Series allows specifying engineers to adjust and direct specified heating loads based on area requirements. The modern, sleek design of the Alpha Series allows architects to integrate heating technology with clean, unintrusive lines. Alpha Series Heaters are engineered to meet IP24 standards for water spray, so they can be installed in both wet (outdoor) or dry conditions (indoor or outdoor) making them extremely convenient and versatile.